So I had to share this. 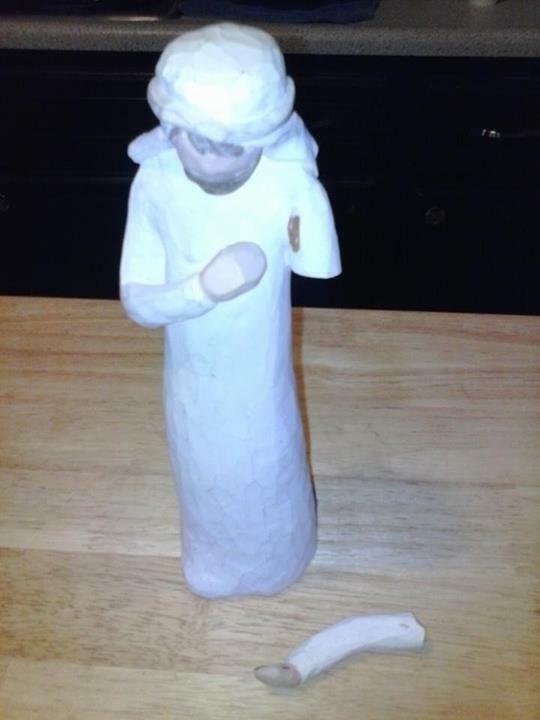 My sister’s cat Leo just maimed her Joseph figurine. That’s his arm now lying at his feet. I would like to note that her set is made of wood. Wood! What is with our cats?